When we think of serious brain injuries, we often think about soldiers returning home from the battlefields of Iraq and Afghanistan and about professional athletes. The new movie Concussion, starring Will Smith, focuses on how repeated hard hits to the head can result in serious concussions. Unlike in the past when we didn’t take concussions all that seriously, we not know they can lead to serious and permanent brain damage or death. 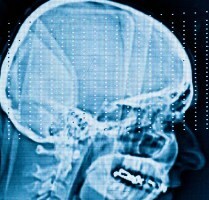 However, as doctors are now learning, a patient does not need to suffer a major head injury to get serious brain damage. In some cases, a hard bump on the head that would normally just hurt for a little while could result in a serious brain injury. This is why you should never refuse medical attention if you suffer an injury. You may not know the full extent of the damage, and, if you wait, you may delay getting necessary treatment. You will also make it harder to succeed in a typical personal injury case, because it may be more difficult to prove your injury was a result of the accident that was someone else’s fault. This does not mean that you do not have a valid case if you waited to go to the hospital, but it will make things easier for your Boston personal injury lawyer if you went to emergency room immediately following your accident. A recent news article from NPR looks at this issue, as it discusses the story of successful doctor who suffered a serious brain injury and did not realize it for quite some time. The doctor tells the story of how he was in his attic preparing for the upcoming holiday season when he stood up and hit his head. He described it as sharp pain, but since there was no laceration, he did what most people would do and put ice on it and took over-the-counter pain medication. However, the pain did not go away over the next several weeks and started to increase. He noticed he had trouble concentrating and had trouble speaking, but did not realize it was a result of the bump on his head. However, he decided to go to a neurologist to have it checked out, and the doctored ordered an MRI on his spine and one on his head, just to be on the safe side. While he was in the MRI, the technician looked at the image and immediately called the radiologist into the MRI control room. What he saw was a white lake-like material where the left side of brain should have been. The white substance was blood, and he was experiencing severe intracranial bleeding, and the blood had pushed his brain down from the Dura and way from where it was supposed to be. This was causing increased pressure on his brain, which was causing his symptoms. Because this brain hemorrhage could be fatal, he was rushed into emergency open brain surgery to drain the blood from his skull and repair the wound to stop the bleeding.